We guarantee you will receive the correct Black Duck seat cover to fit your Holden RG Colorado when you fill out our online "Confirmation Form". A link to this form is emailed along with your Tax Invoice immediately after your payment is received. 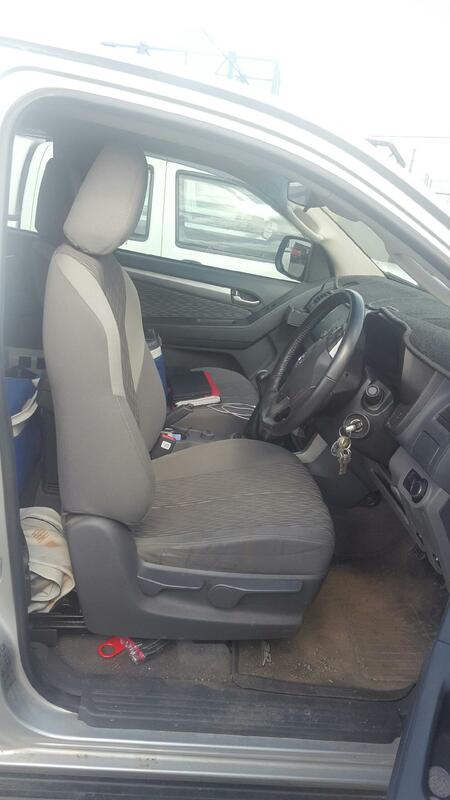 Black Duck Seat Covers to fit Holden RG Colorado Utes. 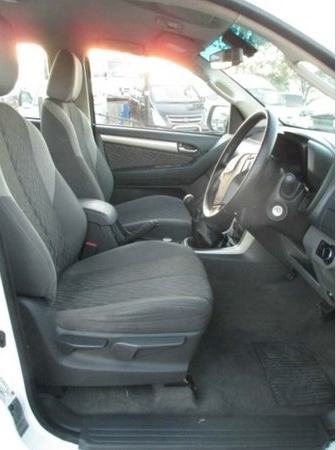 Miller Canvas are a SPECIALIST online retailer of Black Duck Canvas or Denim Seat Covers for your Holden RG Colorado. We offer colour selection, the largest range & the best prices in Australia! DO NOT FIT to seats with Seat-Fitted Airbags (click here for information). Used from MY14 onwards. If your vehicle has factory fitted or optioned SEAT-FITTED airbags, you MUST install seat-airbag compatible seat covers. 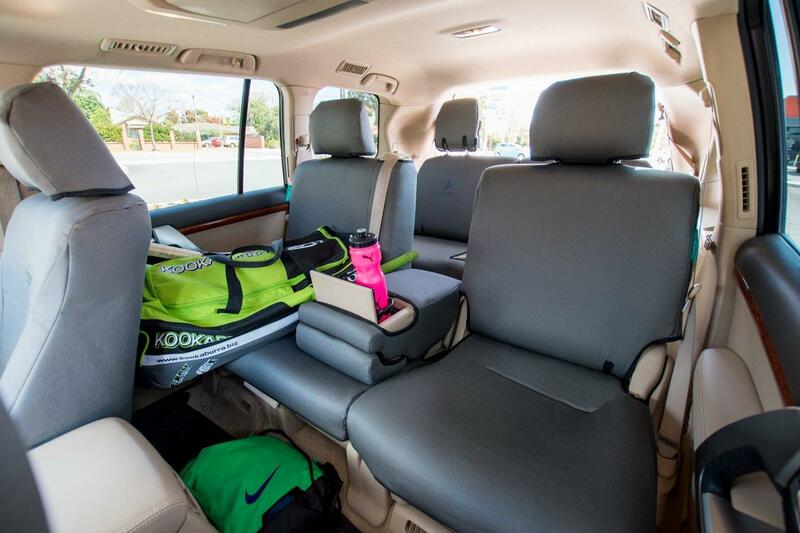 Why Choose Black Seat Covers? Black Duck have over 25 years of experience as leaders, manufacturing heavy duty canvas seat covers. (Did you know Black Duck started in a small country town in WA manufacturing seat covers for the Farming and Mining industries). Each Seat Cover is tailored to deliver a custom look and feel and built tough to withstand the most unforgiving conditions. Ensure the lifespan of your original seats is prolonged for as long as possible. Help increase the resale value to your vehicle. Maintain the aesthetic appeal of your interior by utilising stain resistant covers which are easy to clean and made to be tough. 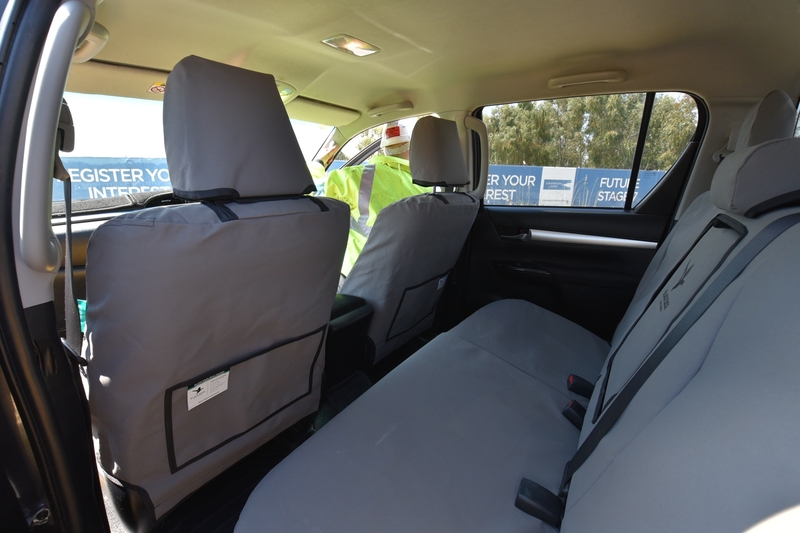 Black Duck Seat Covers maintain the highest safety compliance standards for seats with Seat-Fitted Airbags. Made in Australia with manufacturing plants in Perth and Wangaratta in Victoria. We ship to our customers direct from the Black Duck Factory. 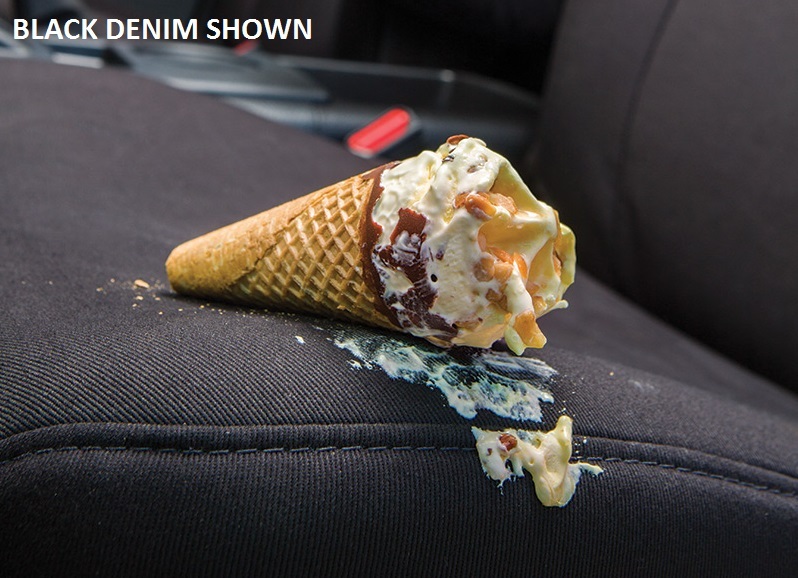 Any seat fades and accumulates blemishes or stains over time, Black Duck durable Canvas or the new Denim seat covers, provide you with a peace of mind because your vehicle always looks good as well as returning that extra value at resale. Black Duck have exceptional products that serve as a genuine investment for your vehicle. Black Duck Canvas Products have a long established a reputation for PREMIUM QUALITY HEAVY DUTY SEAT COVERS. Because of this reputation, Black Duck take their design, manufacturing and quality control measures very seriously and offer a 100% Satisfaction Guarantee. 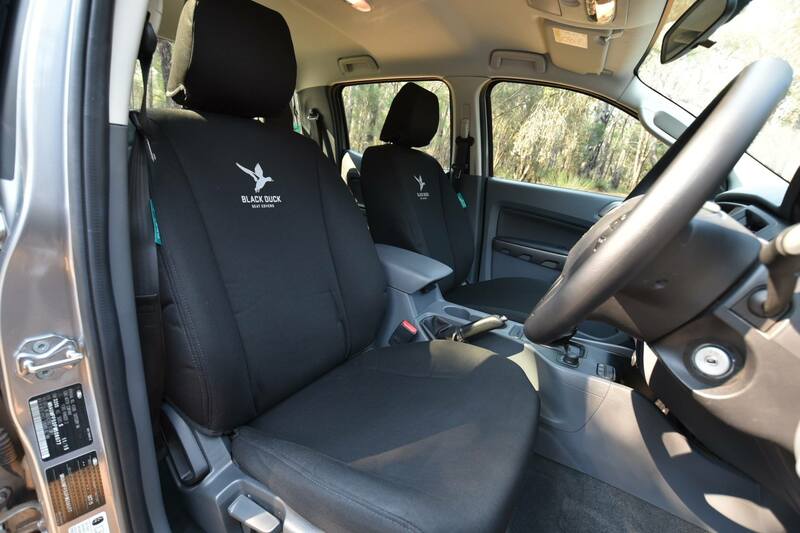 If you are not 100% satisfied with your Black Duck Seat Covers suitable for Holden RG Colorado, we offer you a money back* guarantee, because Black Duck have confidence that their product will provide the best protection for your seats! * Conditions Apply. Black Duck have been continually adjusting & modifying the composition of the Canvas as well as their manufacturing processes to achieve the necessary strength, comfort and style that Black Duck Seat Covers now provide. 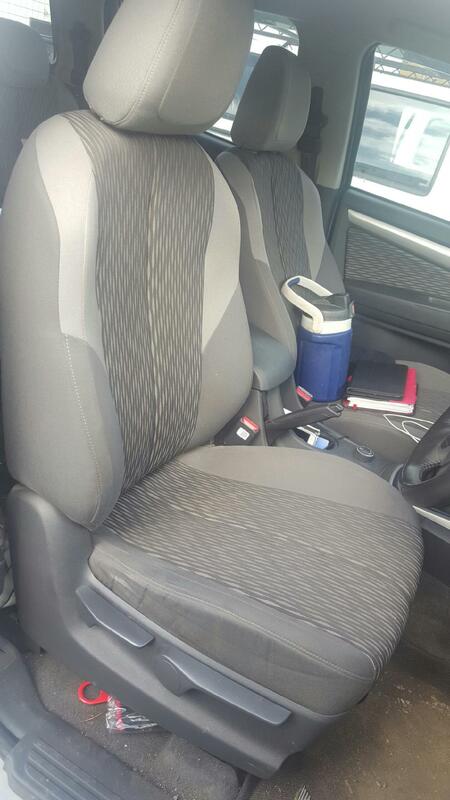 Max strength: The use of the right mix of Polyester (the strength component) means these seat covers have a very high strength rating and they are extremely durable and hard wearing and are suitable for Holden RG Colorado. Some types of canvas are very harsh. The cotton mix and direction (the warp and the weft) is one of the key factors contributing to the comfort of Black Duck Seat Covers and as a result comfort is maintained for long periods. 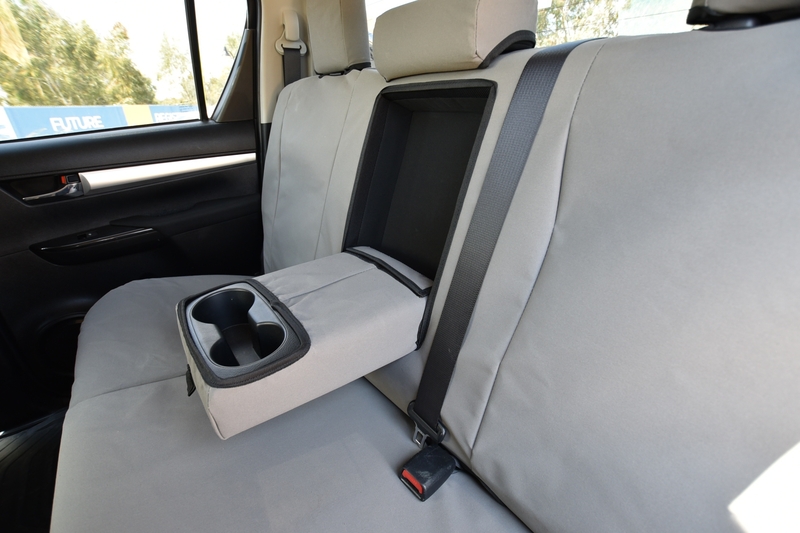 Maximum Protection for you seats: Eliminate wear caused by sand, grit and dust that gets into everything, penetrates through cloth type seat covers and eats away at your seat trim and stitching. 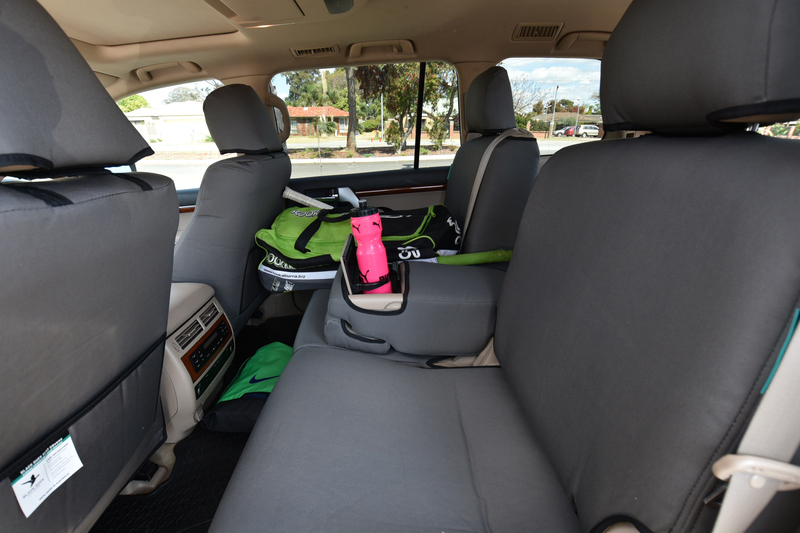 Black Duck Canvas Seat Covers are fully dust proof and completely eliminate grit and even fine dust, from damaging your vehicle seats. 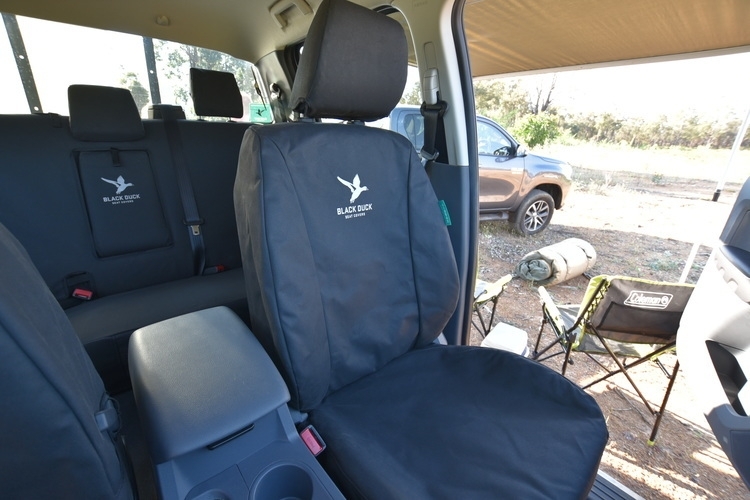 Introduced in 2015 you now have the choice of the tried and proven original Black Duck Canvas Seat Covers or the all new Black Duck Denim Seat Cover suitable for Holden RG Colorado both with Black Duck's superior fit and quality, manufactured here in Australia. Denim covers are the same price as the canvas covers. So in effect Black Duck Denim product offers the same Black Duck quality as Black Duck Canvas but with extra style and extra comfort! Now with the development of its new product range, the number of Black Duck fans is set to grow. After all it makes sense. 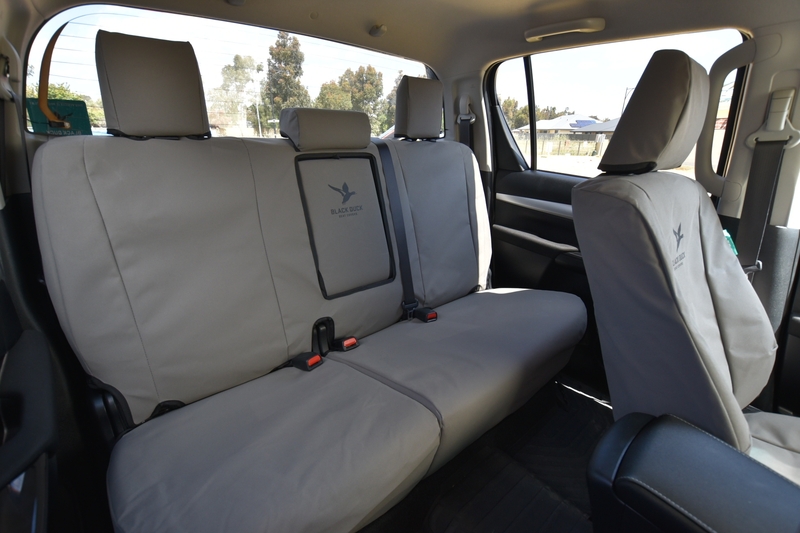 Black Duck Seat Covers whether your preference is canvas or denim, add style comfort and long-term protection to the seats in your Holden RG Colorado. Make sure you fit Black Duck Canvas or Denim Seat Covers to your Holden RG Colorado, they are the Duck's Nuts in Seat Covers.